Congratulations on your upcoming wedding! 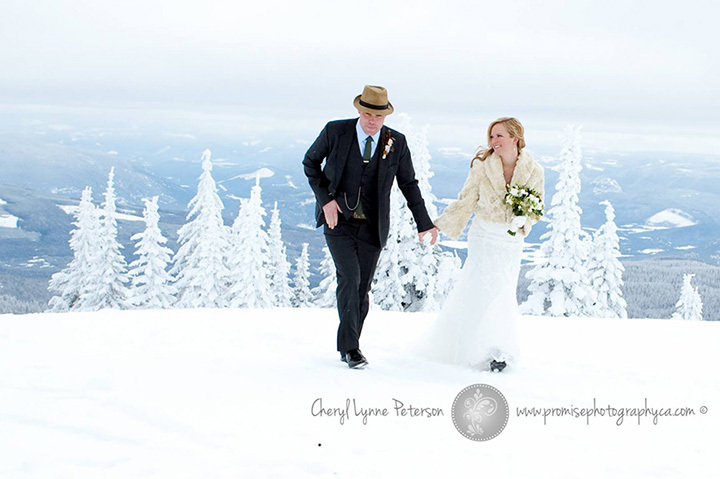 There is nothing that compares to an Okanagan wedding ceremony at Silver Star Mountain Resort. Mountain views combined with the picturesque Victorian-era village creates a magical and unique setting for your wedding day. 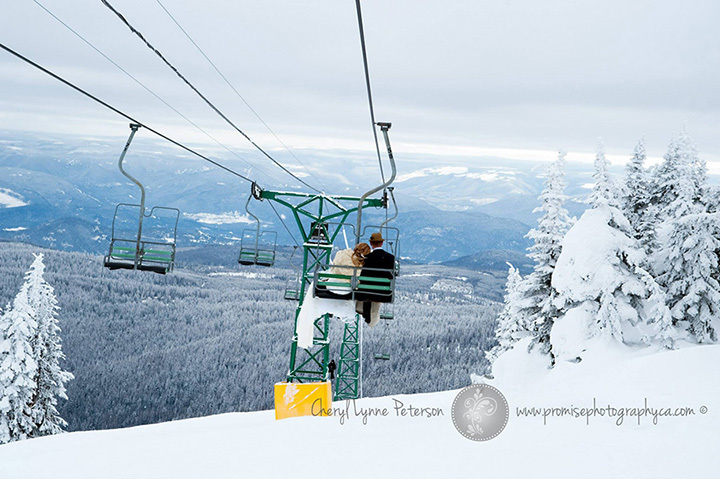 The hotels and buildings at Silver Star Mountain Village are all brightly coloured and create the ideal wedding photo background. For a summer wedding, choose the Arbour Deck, the Gazebo or The Landing with their breathtaking views. For a winter wedding, the Arbour Deck and the Winter Meadow offers a naturally beautiful and impactful setting for your Okanagan Wedding. Year-round ceremonies for up to 100 can take place at The Lookout on the Vance Creek deck. Should an indoor ceremony be preferred, our Chilcoot Ballroom can seat over 200 guests in theatre-style seating with a centre aisle. The Chilcoot Pre-Function Lobby has a sweeping staircase for your grand entrance and seats up to 60 or a standing ceremony of 100. The majestic staircase next to the FireLight Lodge offers lovely views of Brewers Pond and provides you with a romantic backdrop for your ceremony. Guests can gather on the steps and look down to the landing area while vows are exchanged. The FireLight Lodge is a short walk from the Village Centre. There is ample parking and easy access, making this location a convenient ceremony spot.